Earlier, TV dominated the advertising market accounting for a major share because it was the most influential and favoured media due to its ability to reach mass audiences. The increasing online marketing has developed an effectiveness of commercials and reaches a wider target audience browsing internet. Advertisers also focus on the refinement of digital advertisements with contrast and content. The high rate of digital penetration, availability of audience, and high disposable income are a few factors contributing to the growth of the advertising market in the United Kingdom. The growing popularity of digital media and social media marketing are an added advantage in the advertisement market in UK. Advertising is a key market for the growth in social media advertising. It offers a platform for advertisers, especially during special events, which increases return on investment. Factors such as paid search options, personal customer information database helps majority of the vendors analyze behaviour patterns and preferences while advertising any products. Online advertisement will help businesses create brand awareness and market products based on end-user needs. The competition in the advertising market is between the existing established players with massive capital investments and high advertising budgets. The demand for advertisements depends on the economic condition and corporate profits of an organization. All the advertisers focus on the preferences to maintain their market value and share. The various channels in the advertising market are TV, Digital, Print and OOH (Out-of-home advertising). According to the study “Advertising in United Kingdom: ISIC 743”, TV advertising is a major platform that enables advertisers to create awareness and promote products because it is the largest medium to reach people in every corner of the world. Advertising on TV is processed through traditional commercial channels, multichannel advertising, or online TV advertising, which is the latest trend. The government in United Kingdom and NGOs are investing on television advertising. There are many ways of advertising such as terrestrial, multichannel, online, radio and television advertising. 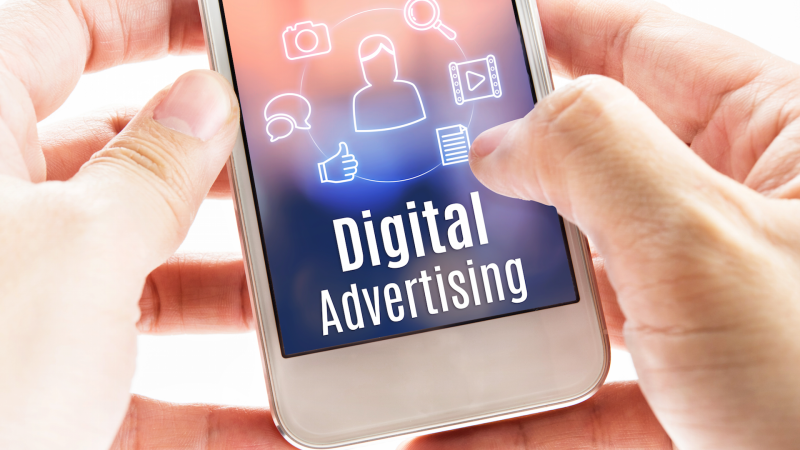 Recovery in global economy, increased time spend on digital media and increase in small scale advertisers are the major factors driving the growth of the advertising market in the United Kingdom. Advertising market is highly fragmented due to numerous and competitive vendors. Advertising companies compete on the basis of factors such as features, quality, technology, security, and pricing. They focus on development of advanced technologies and are also constantly investing in designing, planning, developing, and expanding existing facilities. United Kingdom ranks fourth among the world’s largest advertising markets, and first in Europe. UK digital advertising has overtaken UK’s television advertising and accounts for a largest share of advertising spending. This trend will continue over the next few years due to drastic growth in social media advertising spending. Online advertising medium uses internet for advertising a product or services which is a popular media of advertising due to its wide reach, flexibility, and accessibility. Internet advertising can be customized, making consumer targeting more efficient and precise. It was observed that there will be an increase in mobile advertising over the next few years.